This fast-firing beast is perfect the the Crucible, leading to very quick TTK because of its Fan Fire perk. It’s easily one of the best hand cannon choices for close-medium range PvP, but loses its value when it comes to PvE content. Check out how we place it in our PvP and PvE Exotic tier list. Yeah, it’s worth picking up. Check out our full review though if you’re on the fence. If you enjoy the Crucible, and prefer using hand cannons, it doesn’t get much better than this. You’re meant to hip fire it, and unfortunately its got almost the worst range, so you’ll need to be fairly close to your enemies. Last Word: Bonus damage and stability. Extra precision damage when firing from the hip. A great helm for the Crucible, it ranked in tier 1 for our Titan Exotic PvP list. It’s got an excellent 117/125 Strength roll, while the max is about 130. If you are looking for a new toy to play with in PvP, they’re worth trying, but generally not useful enough to warrant consistent use. These boots have an insane 140/150 Strength, nearly its maximum. The Dance – You move more quickly while aiming your weapon. These boots are specific for a certain type of player. 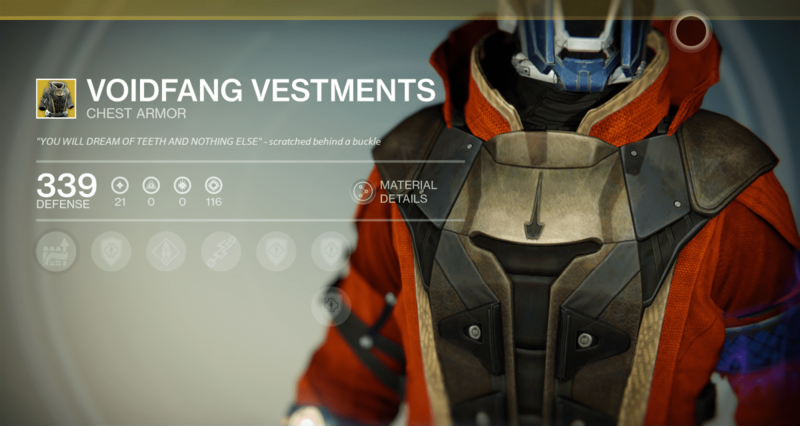 Some may find these helpful if they value quicker movement, but Exotic helms, gauntlets, or chests would be a better option most of the time. 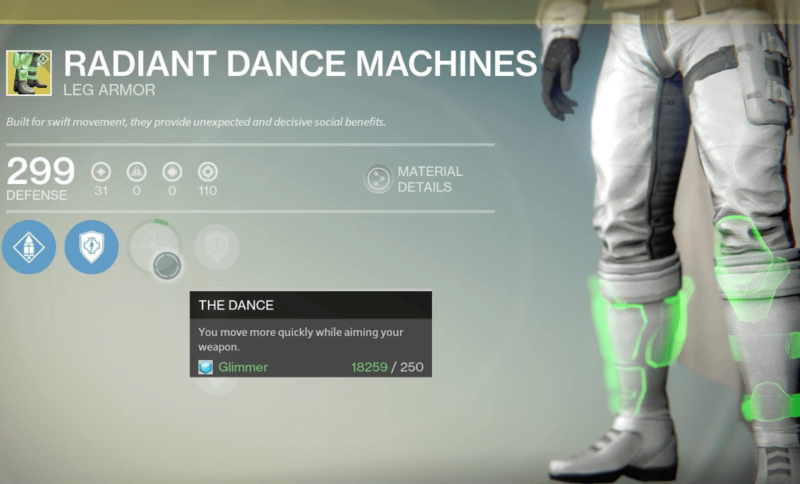 Radiant Dance Machines are built around being more mobile while aiming. For a high mobility build, they can be a solid choice for a Hunter that’s trying to avoid crossfire. “The Dance” perk won’t give you a huge increase in speed, but it is helpful enough to build around. Your ADS movement speed will be almost doubled from what’s normal. Combine these boots with the MIDA Multi-Tool and high agility, and it’ll be like floating on air! If you want to further increase your speed, be sure to use the “Path Unknown” and “Way of the Drifter” talents. Similar to the Mk. 44 Stand Asides, these will increase your heavy ammo as well, so coupling them with a machine gun in PvP will be your best bet. We don’t recommend using these in PvE, since you won’t find much benefit from moving faster while aiming. It has an above average roll of 145/155 Strength, maxing out at about 170. If you don’t participate in the Crucible, the Skull of Dire Ahamkara, Claws of Ahamkara, or Obsidian Mind might be a better option… but this chest is great in PvP.